Hello all! I'm finally digging into my goody bag from the Simon Says Stamp event that I went to at Creativation. 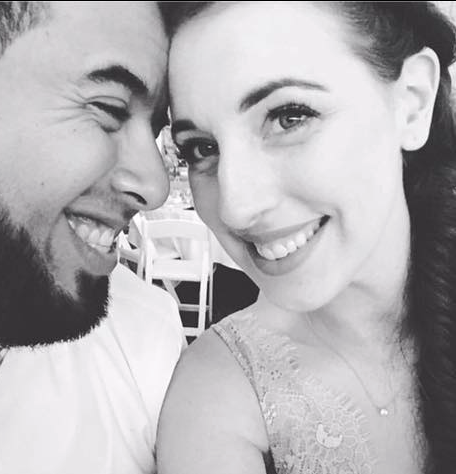 I had such a great time meeting new people and old friends that I'd never met in person. It really was such an incredible experience and I'm so grateful I was able to attend. At the SSS event, they gave out goody bags packed with stuff and now that I'm home and have finally gotten all things put away, I'm able to play! Obviously, I made a beeline to the Beautiful Flowers 2 set. This set is well named; these flowers are seriously beautiful. The detail in the images are so that if you didn't feel like coloring them in, a simple stamp with a bright bold color would suffice just fine. I decided to do a little bit of both. I stamped the background images all over my card stock (cut to 3 1/2" x 5") in Twilight ink by Catherine Pooler. This is is such a soft gray that it doesn't take away from the main image which I love. 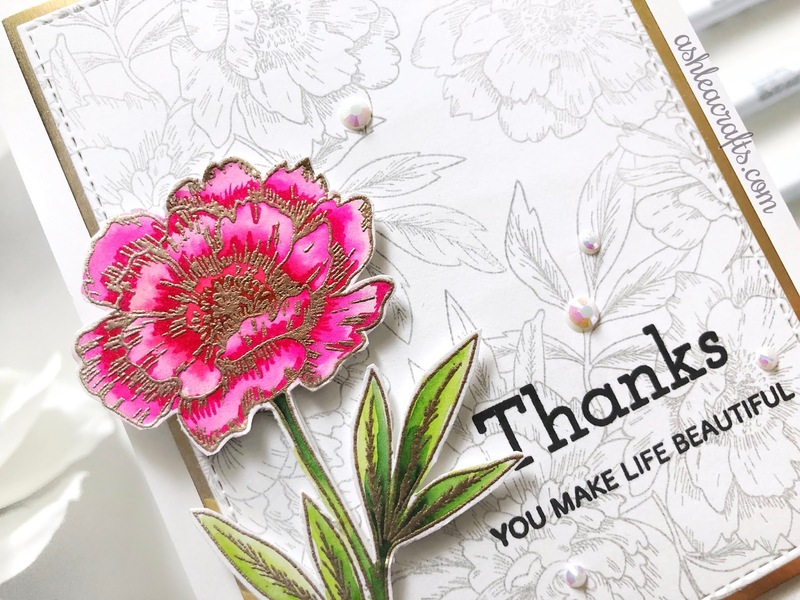 As a focal point, I used one of the single flowers in the set and heat embossed it with gold embossing powder onto a separate piece of card stock. 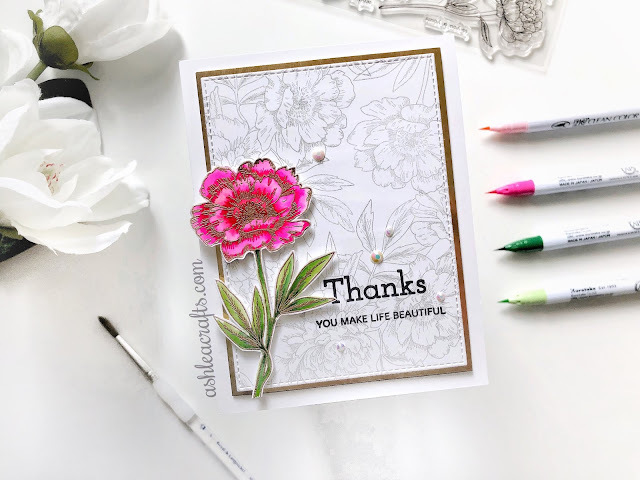 I then used my Zig Clean Color Real Brush markers and a water brush to bring some vibrancy to the card and then fussy cut it out so that I could adhere it to my card front with foam tape. Before I adhered the flower, I stamped my sentiment right onto my card front. 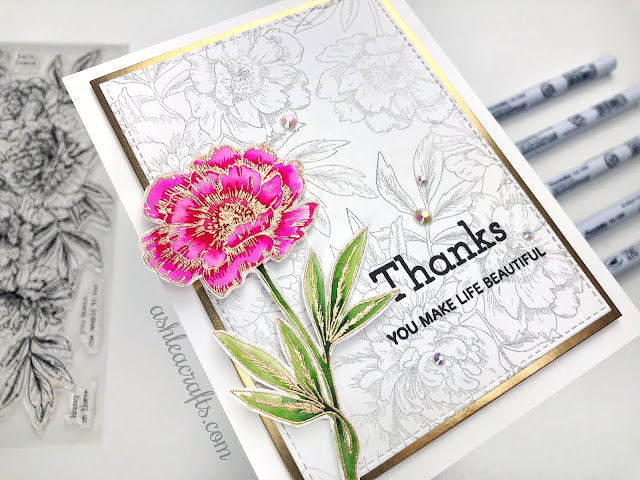 I used the word "Thanks" from the Beautiful Flowers stamp set and the sentiment "you make life beautiful" from another SSS stamp set. I stamped both in Versafine Onyx Black ink and used my MISTI so that I could samp it twice to be sure it was bold and legible. Finally, I adhered my card to the lower right corner of my card front and allowed the petals to hang off the edge of the card stock as well as over the sentiment a bit. I loved the dimension this gave the card. To add bit more gold to the card, I used a gold metallic piece of card stock as a matted background to my card front and adhered it all to an A2 sized card base and added a few iridescent gems for sparkle. 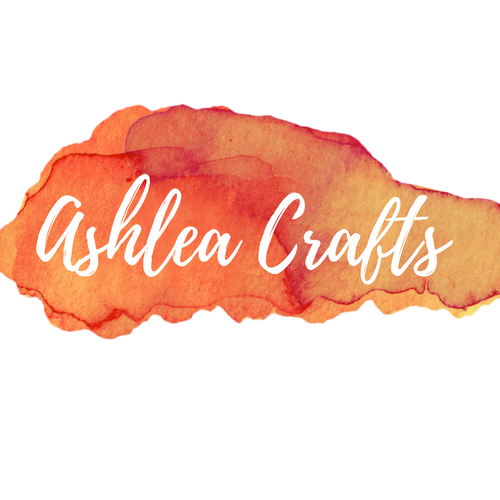 I hope that you've enjoyed learning a bit about how I created this card. This has quickly become one of my favorite stamp sets that I'm sure I will use continuously. I'll see you again very soon! Beautiful article. Thanks for share your article.